Stop Skipping Lunch: Try These Quick & Healthy Recipes! Tempted to skip lunch and run errands instead? These healthy and delicious ideas will change your mind. Now, don’t get too excited. We’re not saying you should start crying for candy bars whenever you feel hungry. We’re just saying that you should stop skipping lunch – whether it’s because you’re trying to lose weight, or you’re just “too busy.” We’re here to refute both of those excuses and to provide you with some quick, healthy lunch recipes so that you’re not tempted by fast food (or a Snickers). Why is Taking a Lunch Break So Important? 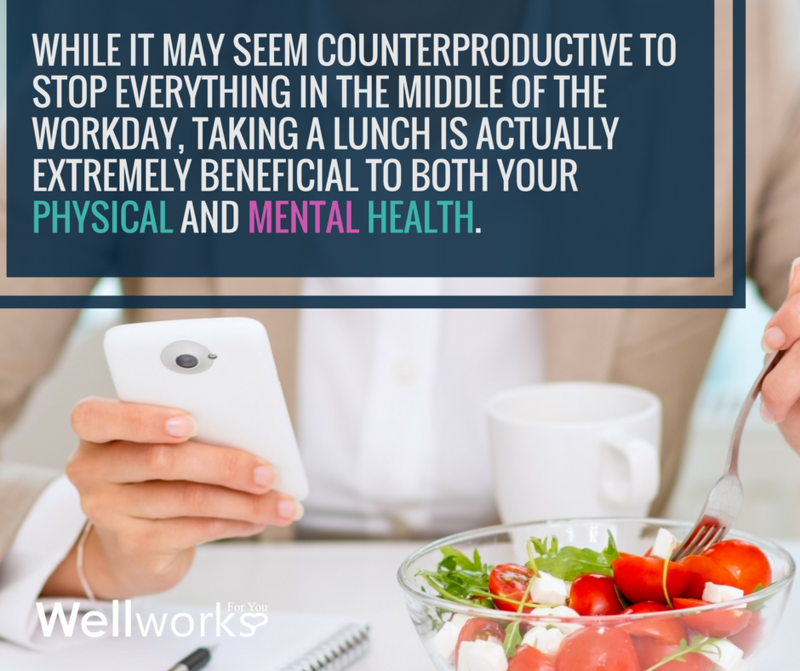 While it may seem counterproductive to stop everything in the middle of the workday, taking a lunch is actually extremely beneficial to both your physical and mental health. Only 1 in 5 Americans step away from their desks for a lunch break – an unhealthy habit that eventually catches up with them. Working straight through lunch can cause stress, as well as physical and mental fatigue, eventually leading to a burnout. It can be tempting to skip lunch when you’re trying to lose weight, but that can actually backfire as well. Eating an easy and healthy lunch will keep you from getting too hungry and overeating at dinner. Aside from keeping your blood sugar happy, taking a mid-day break can give your mind a chance to recharge for a more productive afternoon. Even if you have to squeeze some errands into your break, be sure to eat a little something. The best on-the-go lunch ideas include protein, like Greek yogurt, or some nuts and a piece of fruit. White flour tortilla wraps often contain just as many calories as white bread, and not much nutrition. Opt for whole grains, or really “go green” with a lettuce wrap. Keep some on hand and use leftover proteins from dinner (shredded chicken, beans, low-sodium deli turkey, etc.) for an easy and healthy lunch. These are some great on the go lunch ideas, perfect if you’re short on time or absolutely have to eat at your desk. Leftovers get a bad rap, but they are the perfect quick and healthy lunch idea. If you’re already cooking a nutritious dinner, why not make a little extra and pack it up for lunch the next day?